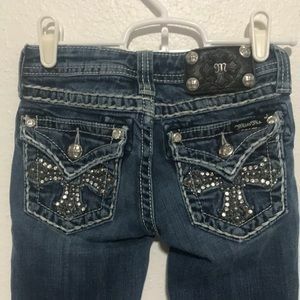 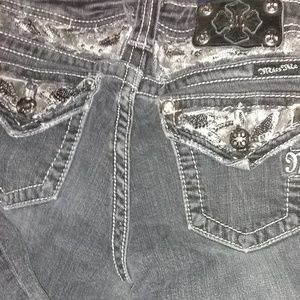 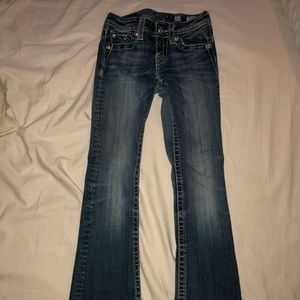 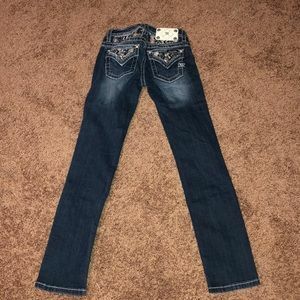 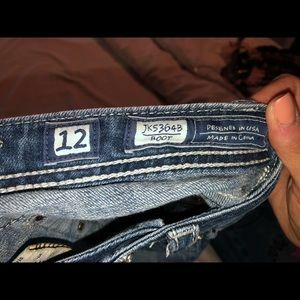 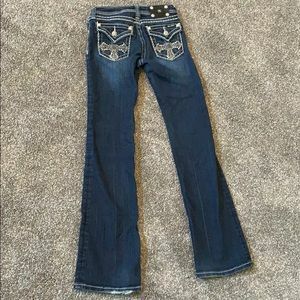 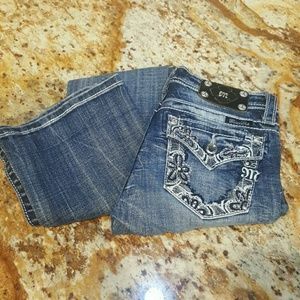 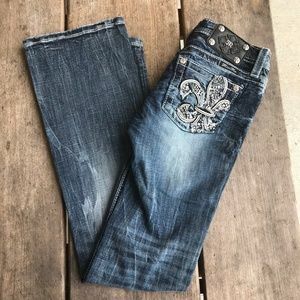 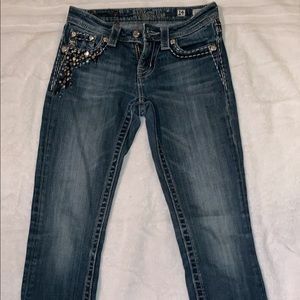 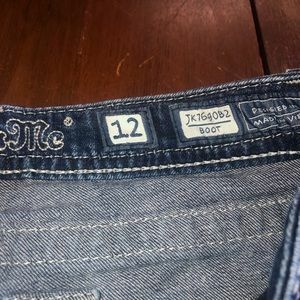 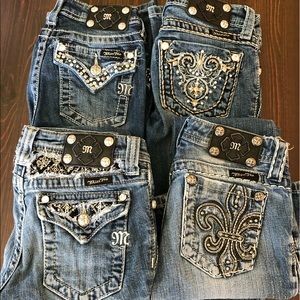 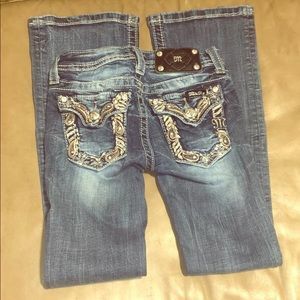 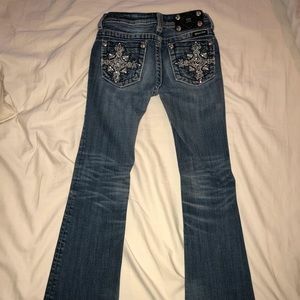 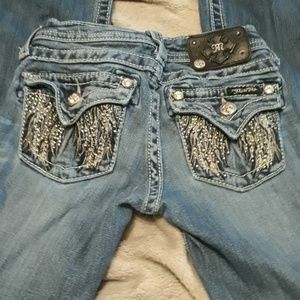 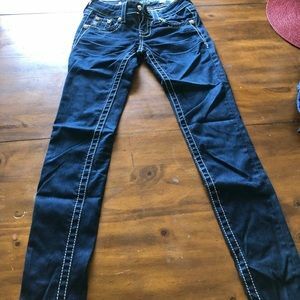 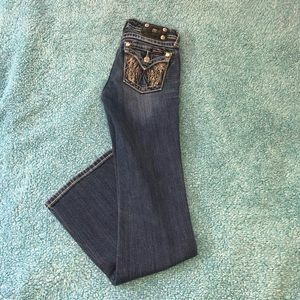 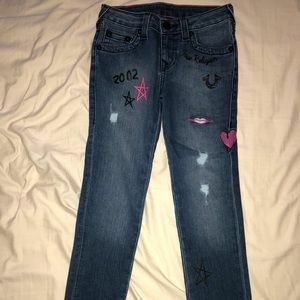 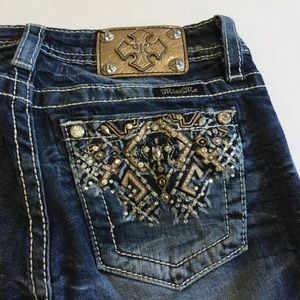 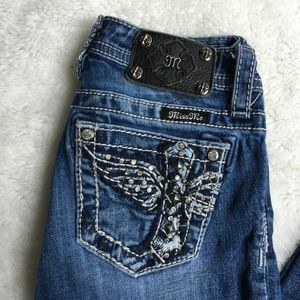 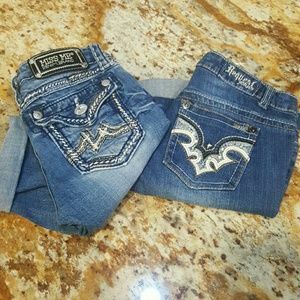 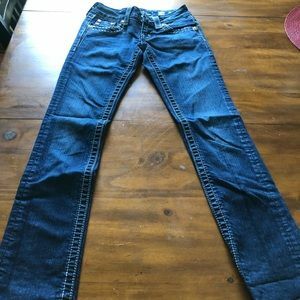 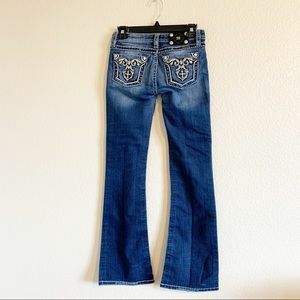 This listing is for a pair of very cute authentic size 12 Miss Me Jeans. 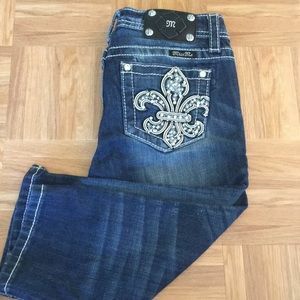 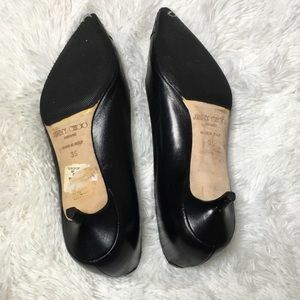 I bought these for my daughter and she never wore them. 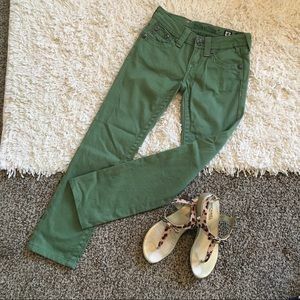 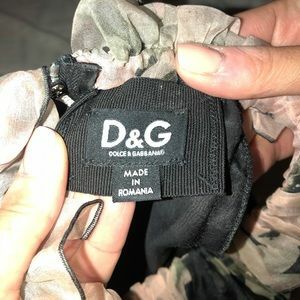 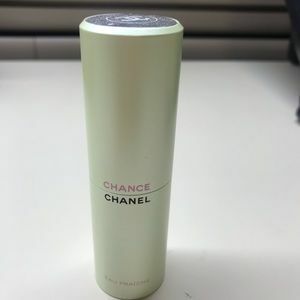 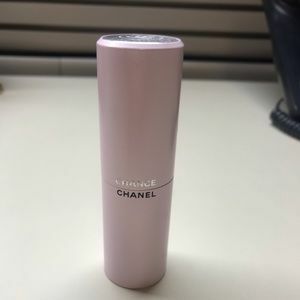 Anyone who knows this brand knows they are long and my daughter didn’t like how they had to be rolled up, tucked under, so they were not a good fit. 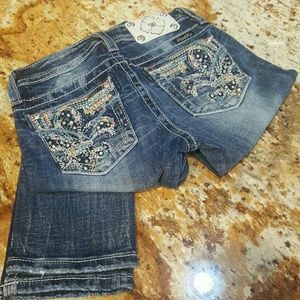 I didn’t want to take them in to get alterations, only reason why I’m selling them. 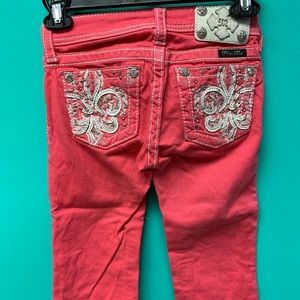 Girls Miss Me capris (size 14).